South Sudan has a long history of violence, from intercommunal fighting to civil war, and has spent 5 of its 7 years of independence embroiled in conflict. Many approaches have been used for Peace building in South Sudan and have met with varying levels of success. 12 girls from Loreto participated with 2 girls being among the top 5 in the Lake State. 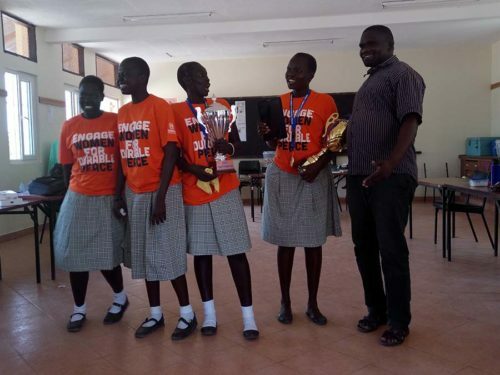 It was good news and encouraging for the girls that after the 2nd round of competition one of our own Khana Kockedhie, from our senior 3 class, was recognized with the top essay in the greater Lakes State Region (Western Lakes, Eastern Lakes, and Gok States). 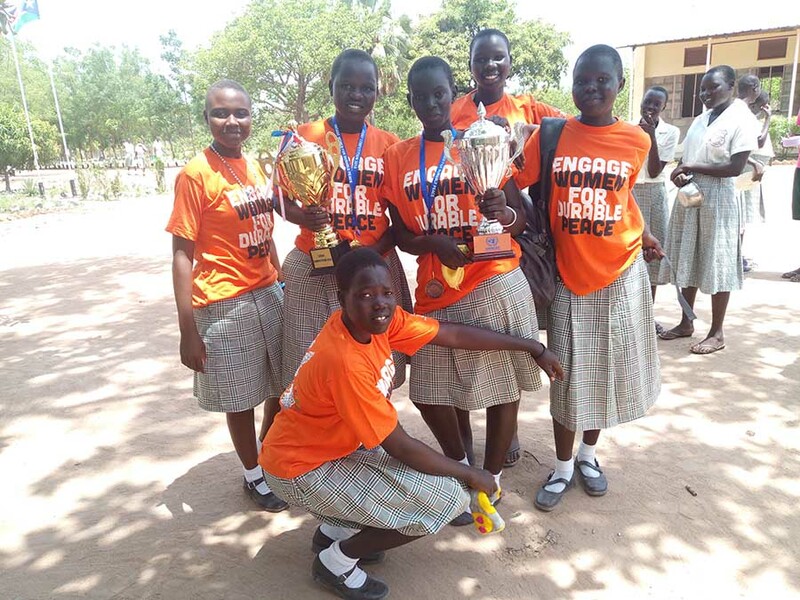 She represented Loreto at the regional awards ceremony, and the greater Lakes State Region at the national level in Juba in early May.